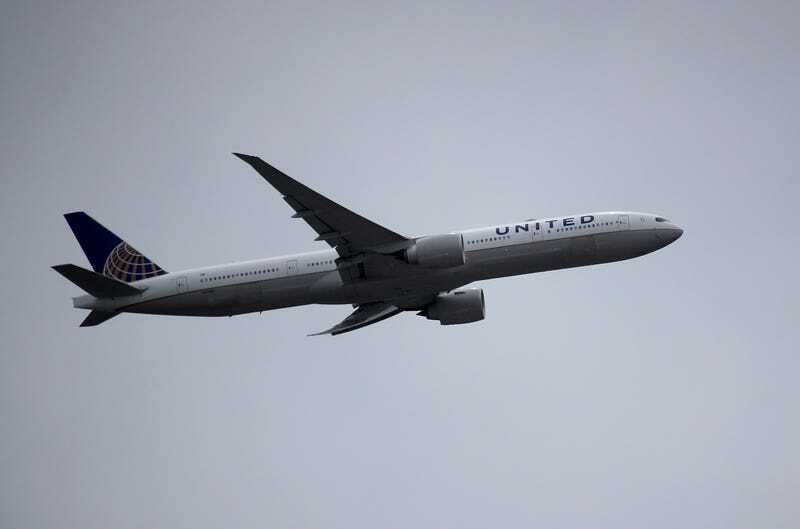 A United Airlines plane takes off from San Francisco International Airport on April 18, 2018, in San Francisco. Seems as if the airlines are still clowning and being targeted with lawsuits because of the clownery. More recently, United Airlines was hit with a racial-discrimination lawsuit after removing a Nigerian woman and her children from one of its flights, all because of a white passenger’s complaints. According to ABC, the actual incident occurred in 2016 after the woman, Queen Obioma, and her two young children were ordered off the plane in Houston after a passenger complained to a pilot that Obioma was “pungent” and he was uncomfortable flying on the same plane. However, the lawsuit was only filed on Friday in federal court in Houston. Obioma is seeking more than $75,000 in damages. Obioma said that she and her children suffered unnecessary embarrassment and public humiliation when the flight crew ordered them off the plane. “United has no legitimate reason or justification to remove [Obioma] from the flight but for racial prejudice and insulted [her] by stating that Ms. Obioma stank,” the lawsuit reads. Obioma was taking her children from Lagos, Nigeria, to Ontario, Canada, to enroll in a school, and was on the second of a three-plane flight to their destination when they were all forced to disembark. To make matters worse, according to the lawsuit, Obioma’s confrontation with the colonizer white passenger began because the man was sitting in her business class seat and refused to move. “She politely informed the white male that he was occupying her assigned seat, but he ignored her,” according to the suit. Obioma reported the incident to the flight crew, who asked the man to move, but still, the man refused. Amazingly, instead of the man being booted off the plane for being belligerent, Obioma was asked to take another business class seat, which she did. You’d think that would be the end of it, right? But of course not. The suit noted that as Obioma put away her carry-on luggage, she noticed the same colonizer go into the cockpit. Obioma went to the restroom while people were still boarding, but upon attempting to return to her seat, she found that same man blocking the aisle. The man, who was not identified, refused to let her go by. Obioma said that she said “Excuse me” three times before he finally gave her enough room to squeeze by. Nonetheless, as soon as Obioma took her seat, a flight attendant “ordered her out of the aircraft stating that her attention was required because someone was waiting to speak with her outside the aircraft,” the lawsuit reads. Outside the aircraft, Obioma was told that she was being removed from the flight as “the pilot personally requested that Ms. Obioma be ejected from the aircraft because the white man sitting around her in the business-class cabin was not comfortable flying with her because she was ‘pungent,’” according to the lawsuit. “At that point, Ms. Obioma was lost, confused and disoriented. Her mind went blank and she was utterly befuddled,” the suit reads. Obioma was not allowed back on the plane to get her children—who were seated in economy—or her luggage. In the end, Obioma missed the scheduled appointment at her children’s school and had to reschedule and extend her stay, causing additional expenses.